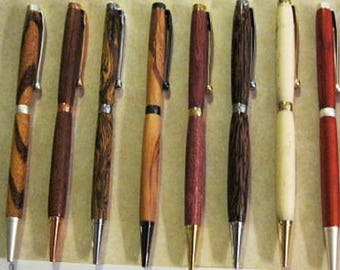 Surprise Mom with these quality pens made from hand picked wood. I am so excited about this graduation gifts we have this year. 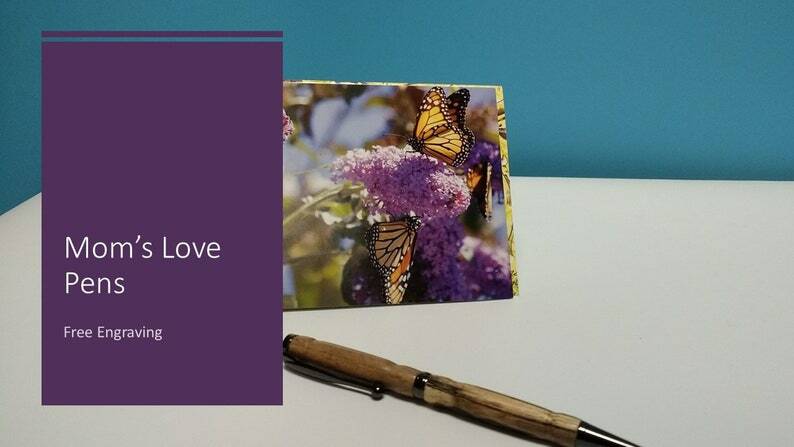 Each pen is handcrafted and will make a timeless gift for Mothery's Day or other gift. 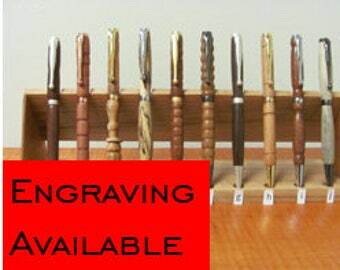 Engraving is Free. 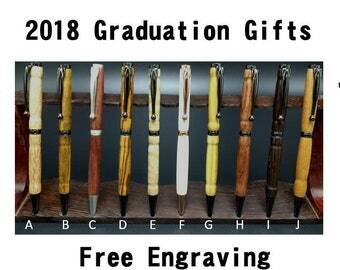 Make sure you include the text you would like engraved at checkout. Other wise we will assume that no engraving is desired. If you have a font that you would like include that as well in the note at checkout. 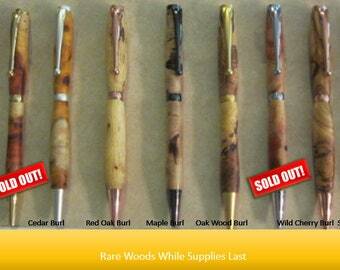 Because we hand select the woods the wood color will not be identical to those in the picture. Be sure to check out our other pen listings new for 2018. All sales help pay our college tuition, thanks for looking!